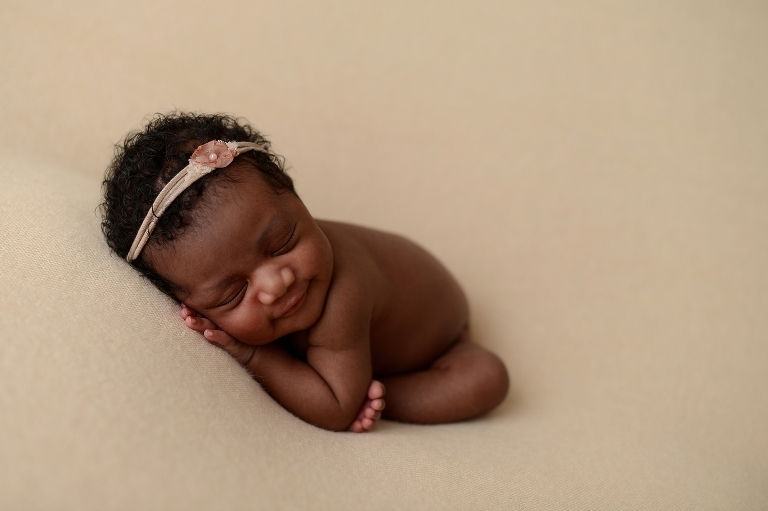 The ideal time to photograph a newborn is right around the 12-day mark. Which is why I typically schedule client’s newborn pictures long before the baby is due. Many times, moms come to my studio for maternity pictures and also book newborn pictures at the same time. But once in a while, I get a request for last minute newborn photos. Ava-Reina’s mom called to schedule the appointment when her precious baby was already almost two weeks old – she was worried she was too late to schedule newborn photos. Thankfully I had an opening at the studio and was able to fit her in because I wouldn’t have wanted to miss this sweet little face. 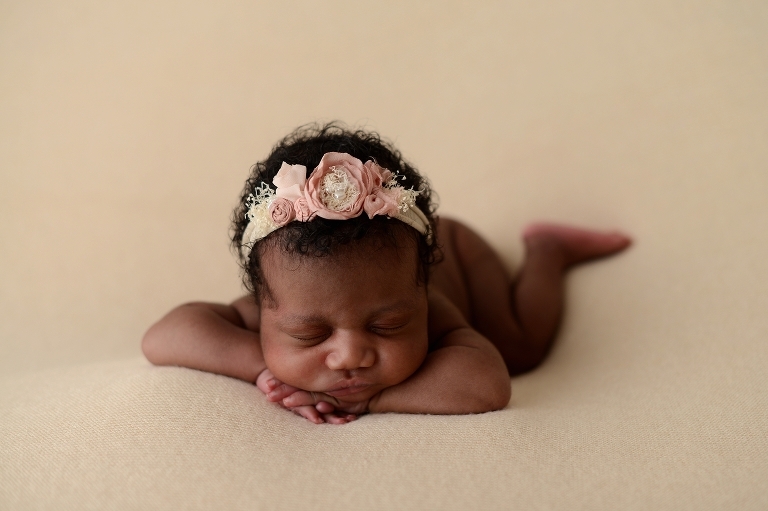 At fourteen days old Ava-Reina came into the studio and she was amazing! She had the curliest black hair that was just perfect with bows and headbands. She also slept like a champ and we were able to get some of my favorite newborn poses. Despite being two weeks old she was still such a tiny little squish. Especially in her daddies big hands and arms. She fit just right in my baskets and bowls. I loved the way her complexion looked against my mauve wraps and headbands. It was by far one of my favorite set ups. Usually, during a newborn session, it’s just the baby and occasionally a sibling. For this session, grandma came along to witness the newborn pictures and watched little Ava-Raina the whole time. She’s going to have the best guardian as she grows up. I was so glad I could get Ava-Raina into the studio with her family. I was even happier that her mom loved all of the photos and left me an amazing review. I appreciated it so much! 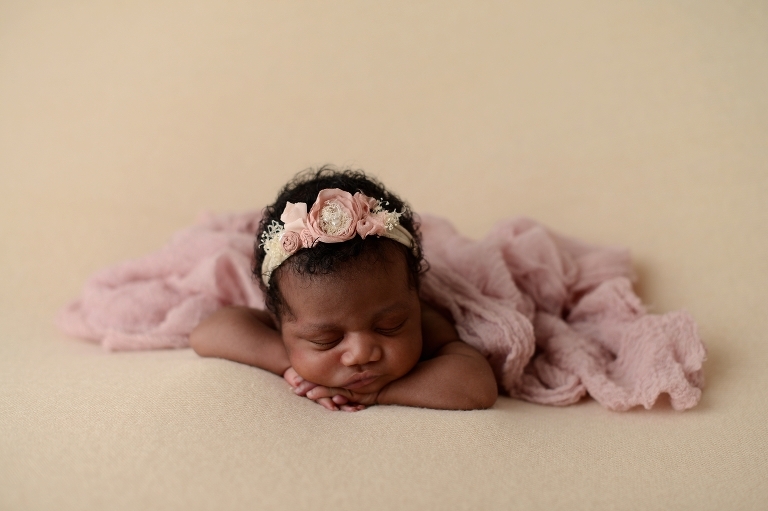 Want to see more precious newborn photos? 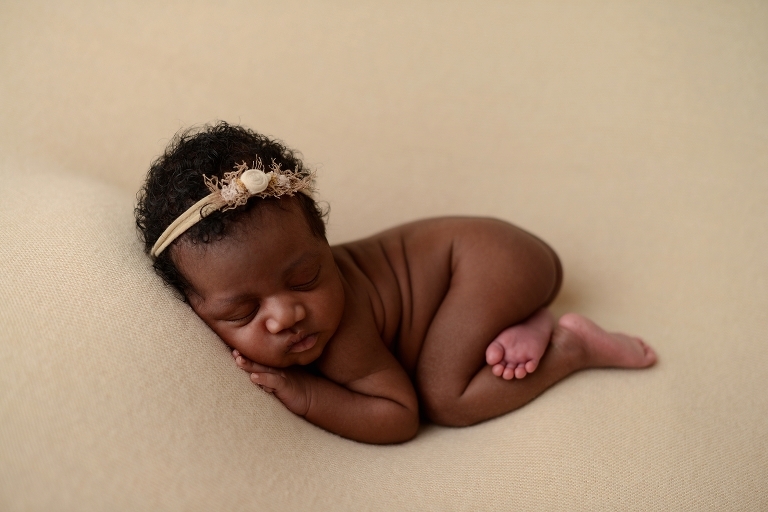 Check out Angelika’s Newborn Portraits.